Usually ships within 5 - 6 days . 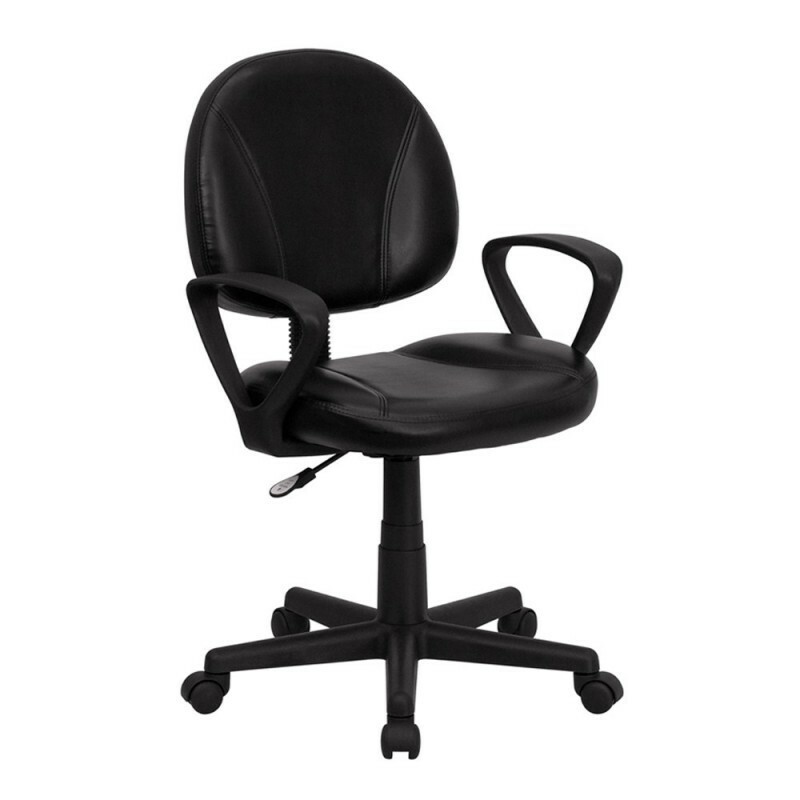 This black leather task chair is the perfect companion to any home, school, or office computer area. Featuring a soft leather seat and back, sturdy nylon loop arms, and pneumatic height adjustment. This entry level computer chair is sure to suit most applicable needs. You can be sure that you have made an invaluable purchase. [Mid-Back Leather Computer Chair. Made of Eco-Friendly Materials. Back Tension Adjustment Knob. Pneumatic Seat Height Adjustment. Textured Nylon Loop Arms. Heavy Duty Nylon Base. Dual Wheel Casters. Black LeatherSoft Upholstery. LeatherSoft is leather and polyurethane for added Softness and Durability. CA117 Fire Retardant Foam.